A captivating gin sour, you can think of the Pegu Club Cocktail as gin's answer to the Daiquiri and Margarita. It dates back to the early 20th century, first mentioned in the 1930 "Savoy Cocktail Book," in which Harry Craddock credits the drink to the Pegu Club in Burma (Myanmar today). The drink traveled throughout the world and was a hit until sometime around World War II. After that, it fell out of favor a bit. Thanks to today's renewed interest in classic cocktails, it is regaining some of its old fame. This is a great gin cocktail that does deserve the attention. You will find that it is best shaken until your hands get cold from frost. The orange liqueur is a matter of choice and can be Cointreau, curaçao, or triple sec. Garnish with a lime wedge or peel. We can consider ourselves lucky to be able to enjoy a Pegu Club Cocktail today. Whereas drinkers a century ago may have had just a few gin options, we have far too many gins to choose from. Plus, the array of flavor profiles is unlike anything they could have probably imagined. This means that this is a cocktail that you will not get bored with. For example, you can choose a traditional, juniper-forward London dry gin and savor how the botanicals play off the sweet and sour background. 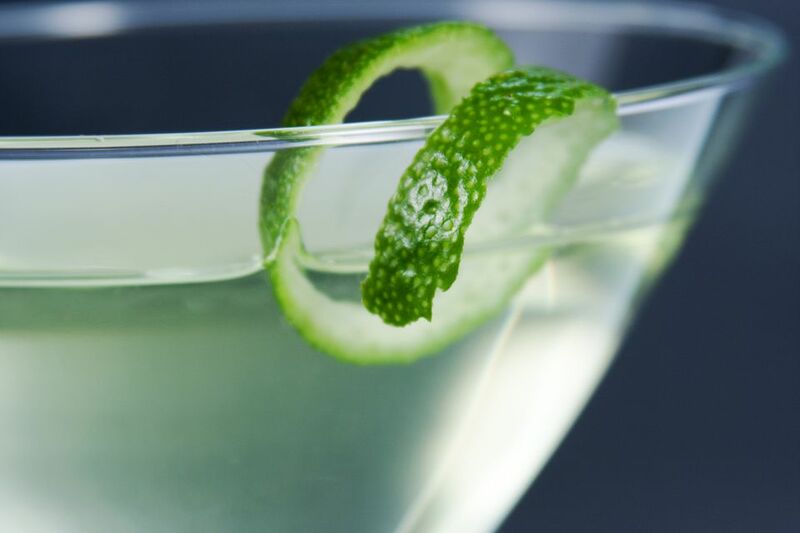 On days when you'd like something a little more delicate, a softer gin like Aviation or Hendricks may be a better fit. Then again, the recipe can also stand up to the full flavor of any navy strength gin as well. The Pegu Club is a versatile cocktail. It's also a nice one to have in your repertoire while discovering new gins. If you are sampling a new-to-you bottle and want to know how the gin works with citrus, this is the best cocktail for the test. Granted, it won't work with every gin and you will like some combinations more than others. You will also find the need to tweak the ratio from time to time. Yet, uncovering that perfect match is half the fun of drinking. If the cocktail world was cut and dry, it would not be half as interesting as it is. How Strong Is the Pegu Club? It may look all neat and fancy, but like many similar cocktails, the Pegu Club is not a weak drink. This is particularly true if you pair an 80-proof gin with Cointreau or Grand Marnier (both of which are also 80-proof). In this case, the Pegu Club weighs in at around 29 percent ABV (58 proof). That puts it right up there with the booze-only Martini.